Great for cleaning cars, wiping tables - only one swipe and the dust, dirt, grime sticks to the cloth. 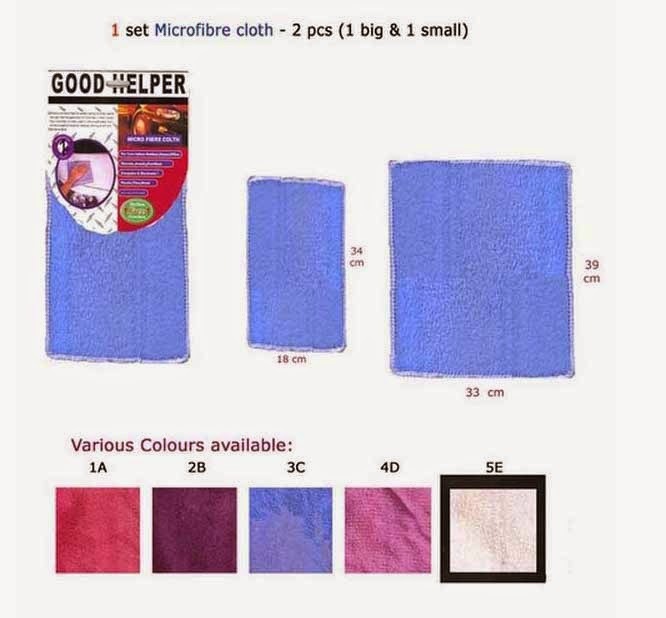 Microfiber is used to make non-woven, woven and knitted textiles. The shape, size and combinations of synthetic fibers are selected for specific characteristics, including: softness, durability, absorption, wicking abilities, water repellency, electrodynamics, and filtering capabilities. Microfiber is commonly used for apparel, upholstery, industrial filters and cleaning products. To enquire, e mail to jalkent7@yahoo.com.